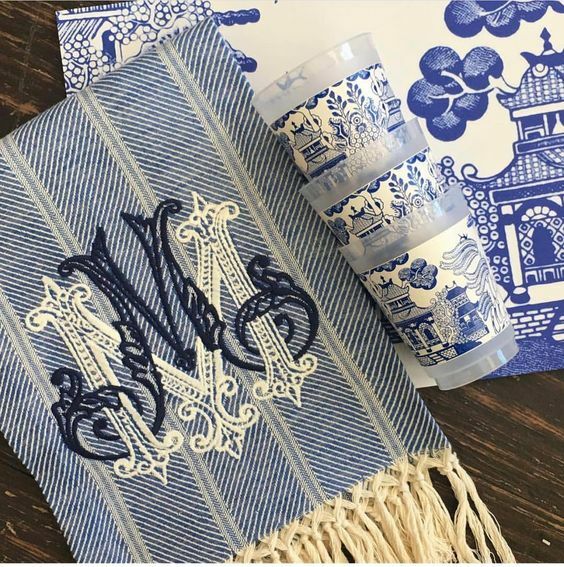 The timeless elegance of blue and white Chinoiserie. Just gorgeous! I love the monogram. Blue and white is getting such an update here.